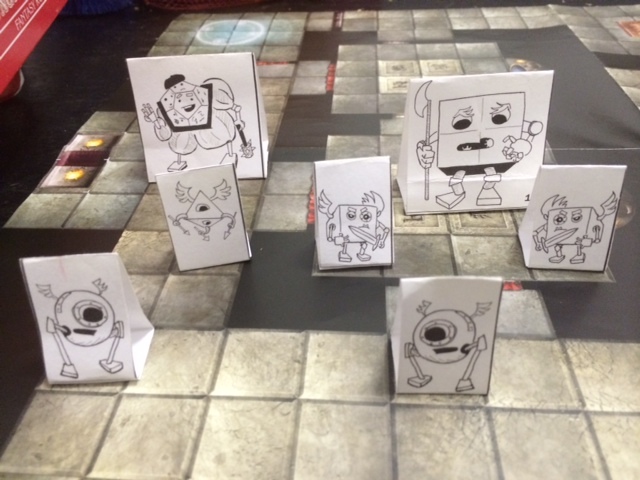 I love modrons, so I made some paper miniatures so I could use them in my home game. That’s a monodrone, tridrone, quadrone, quadrone enforcer (4 quadrones combined), and Modron Hierarch (dodecodrone). Up next: some cultists and thugs you can use in Hoard of the Dragon Queen. Check out previous minis: PCs, Kobolds, and Bullywugs. This entry was posted in D&D comics. Bookmark the permalink.